If you've been involved in an incident in or near Farmington, whether that involves burglary, a DUI or other offense, Jardine Law Offices can help you get sorted ASAP. Experienced criminal defense attorneys can discuss your best available options, and come up with a plan for dealing with your case. Salt Lake City man, Harley Gregory Welsh, is going to be very familiar with the inside of the state’s court rooms after allegedly racking up an astonishing 8 felony charges during just 10 days in December. Welsh’s spree goes even further, however, as he’s facing more than one dozen charges in total. Court documents relating to Harley Gregory Welsh’s misdemeanors state that he stands accused of stealing his sister’s vehicle, a Chevy Malibu, in mid-November. Once he’d taken control of the car, Welsh drove to a parking garage, where CCTV footage shows him painting over the camera, before breaking into another car and removing items. Another day, another incident of camera-painting for Welsh. Court documents state that he allegedly painted over a BLM camera, before entering a parking lot at the University of Utah and exchanging the Chevy Malibu for a Honda. Another of the felony charges faced by Welsh involves him cutting a catalytic converter from a car near the beginning of December. Having taken to the wheel of his sister’s Malibu once more, Welsh attempted to ram the cruisers belonging to officers who tried to apprehend him, before sparking a chase and, eventually, escaping from the police. This incident let to Welsh being made a priority for local police to catch, given his willingness to ram vehicles, and the potential danger that could pose. More car theft charges for Welsh, as he was seen attempting to gain entry to a Ford Expedition. When the officer instructed Welsh to put his hands in the air, he did so, but then got into the car and tried to drive away. Upon finding he couldn’t fit past the officer, Welsh abandoned the Expedition and escaped on foot. According to court documents, he later stole a running vehicle. Welsh was finally arrested and taken into custody after leading police on a chase from South Salt Lake to Millcreek. Officers apprehended Welsh after he got out of his car and attempted to run. 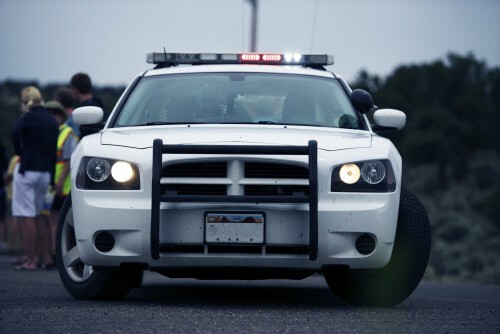 If you’ve been involved in an incident in or near Farmington, whether that involves burglary, a DUI or other offense, Jardine Law Offices can help you get sorted ASAP. Experienced criminal defense attorneys can discuss your best available options, and come up with a plan for dealing with your case. Jardine Law Offices can be reached by telephone on 801-350-3506, or by filling in this online contact form to arrange a free initial consultation.